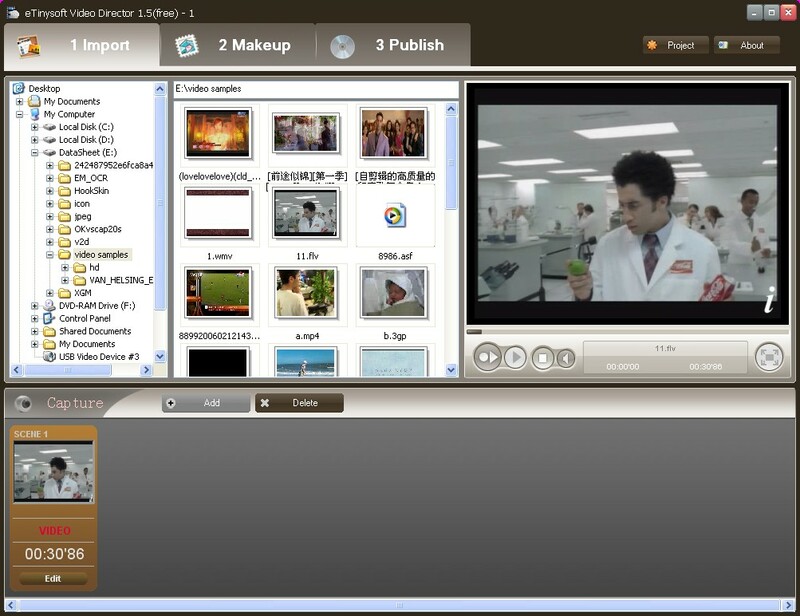 Import all kinds of video formats like avi, wmv, mpg, mpeg, mp4, mov, flv, swf, mkv, mlv, etc. Capture videos from PC camera, DV camera, HDV camera, Television, digital television, DVD, microphone, CD, etc. Capture videos from PC camera, DV camera, HDV camera, Television, digital television, DVD, microphone, CD, etc. Split the interested clip of video with precise position by frame, second and munite, fade-in and fade-out audio track, you will receive a wonderful movie. Conveniently trim the length of background music; Set captions with any font, size, style and color; Enrich your videos with various illustrations and effects; Liven up your videos with personal narration. Burn to DVD, CD and Blu-ray; Output to portable devices like iPod, iPhone, PSP, etc. 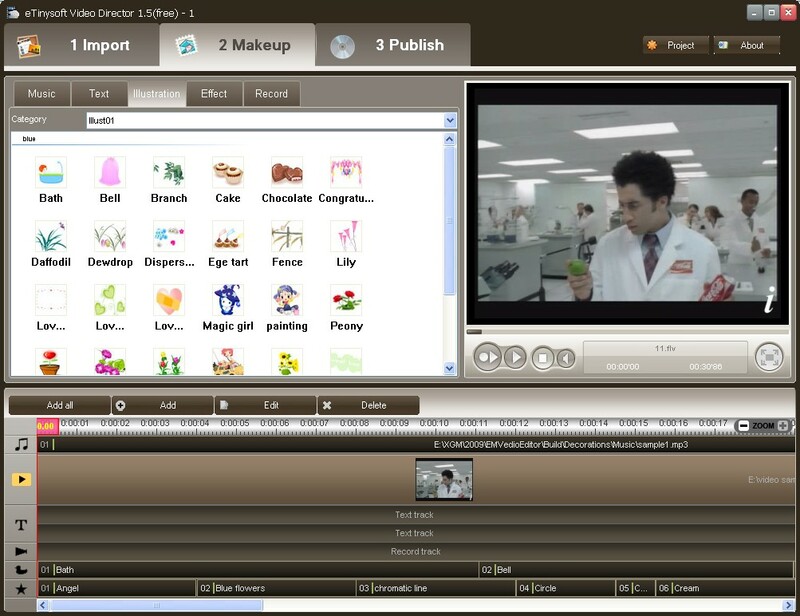 Publish to other popular formats like MP4, AVI, WMV and so on. 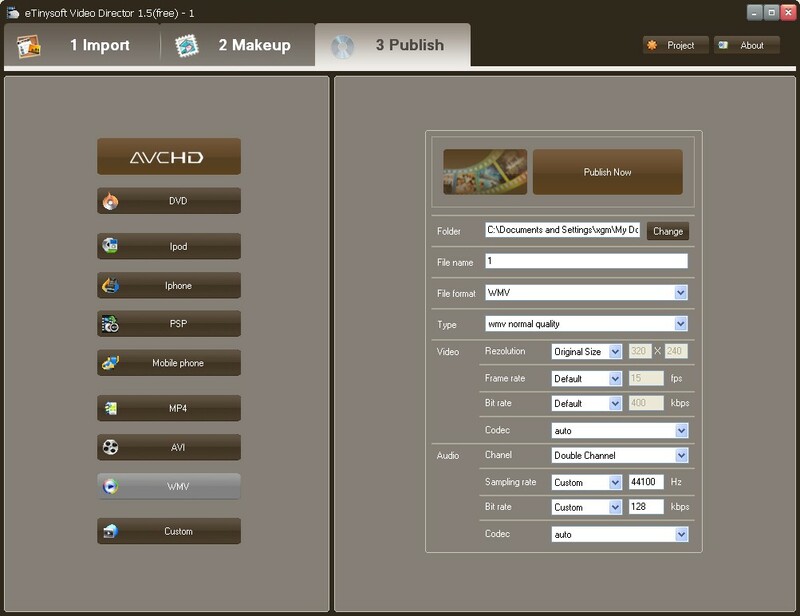 AVCHD H264, AVCHD Mpeg-2, DVD, MOV Mpeg4, iPod Mpeg4, AVC h264 Mpeg4, iPhone AVC H264, PSP Mpeg4, 3GP, 3GPP2, MP4, MPEG4 MP4, AVCH264 MP4, DIVX 50 AVI, XVID AVI, DIVX 40AVI, H264 AVI, MPEG4 AVI V2, MPEG4 AVI, WMV AVI, WMV AVI, MJPEG AVI, lossless HuFFYUV AVI, lossless RAW AVI, WMV, 3GP, ASF, AVI, FLV, MDV, MP4, MPEG1, MPEG2, SWF, TS, WMV, MKV. General 3GP mobile phone, Nokia, Sony Ericsson, Motorola, BlackBerry, etc. General MP4 players: Archos, Creative Zen,Zune, iRiver, etc. Window Mobile device: Pocket PC, Smart Phone, PDA, etc.